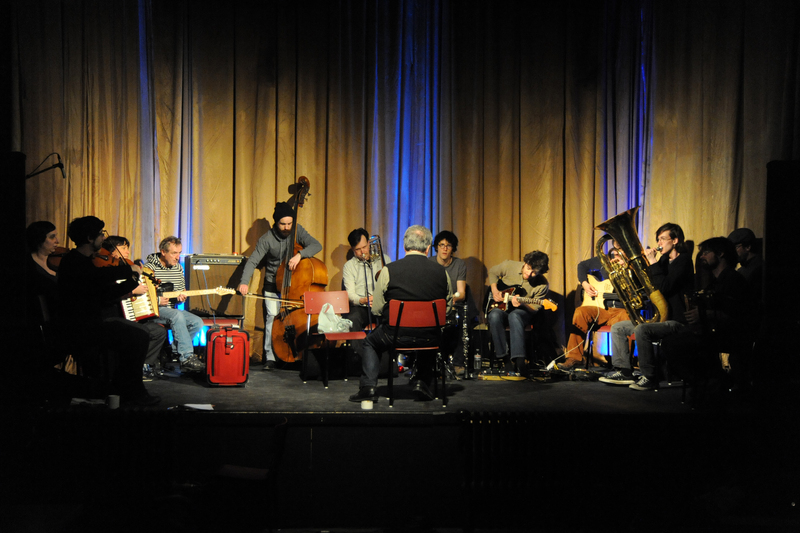 GGRIL – Page 2 – "a post structuralists village band"
VIVACES, le GGRIL avec Evan Parker !!!!! 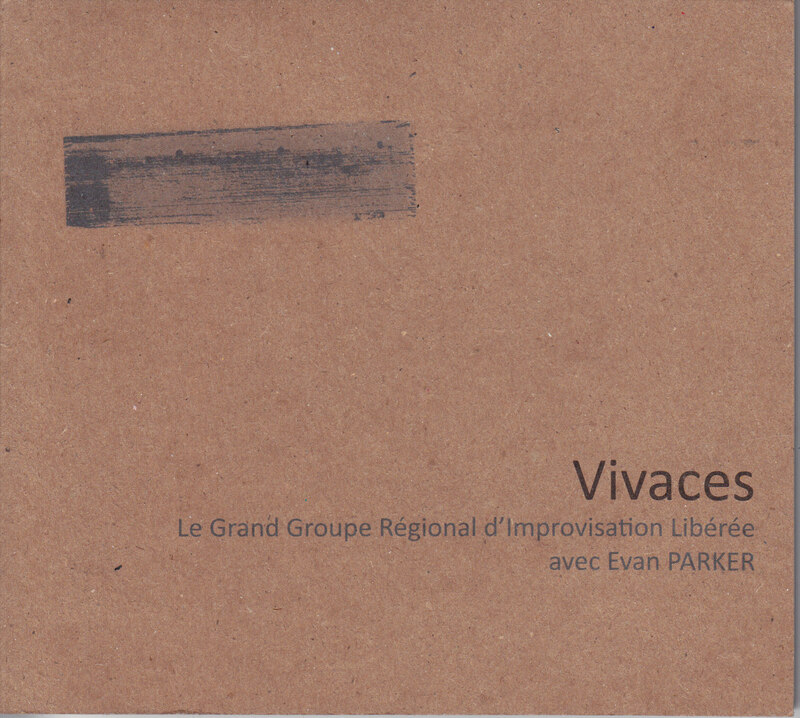 Le Grand groupe régional d’improvisation libérée avec Evan Parker. By John Colburn If you are a fan of longer, exploratory forms and large-group ensembles, this will be a very rewarding disc. 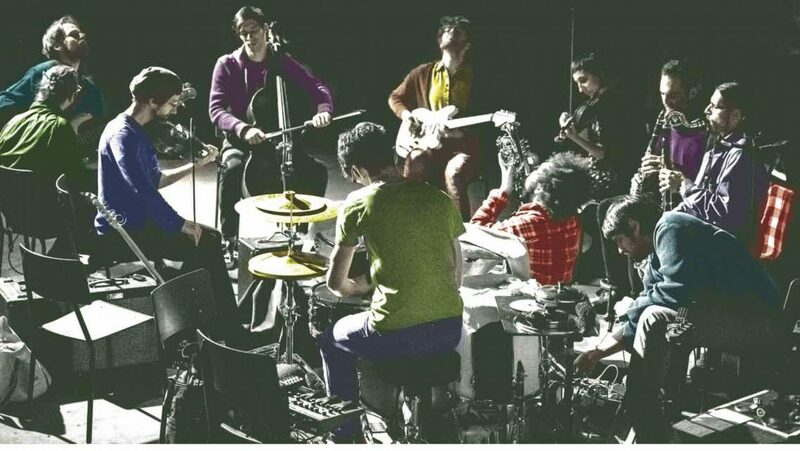 Le Grand Groupe Régional d’Improvisation Libérée is an improvisational collective based in Quebec, Canada, and Vivaces captures a live recording from a concert in Rimouski. Le GGRIL often hosts guest artists to head workshops and conduct the group, and this recording captures illustrious saxophonist Evan Parker conducting and playing with Le GGRIL. The three songs on this recording display great willingness to explore the depths of each improvisation. The mixture of sounds in loose rhythm that open Vivaces gives a hint to the surprising textures at work in this ambitious recording. 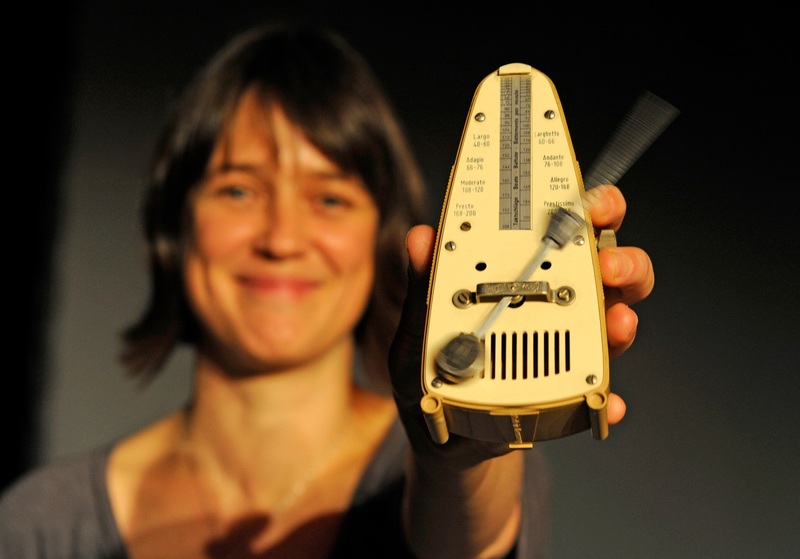 These are accomplished musicians, and the interactions between them progress in surprising ways. At times the structures remind me of Parker’s work in the Global Unity Orchestra, and like those recordings, the music here is consistently rewarding and occasionally difficult. The array of instruments and sounds present in each track creates a sonic map that shows us how the conductor’s thinking progresses and still manages moments of great lyrical beauty. We hear accordions, violins, voice, tuba, guitar and of course Evan Parker’s saxophone. The final third of opening track reaches a brilliant set of surprises and some magnificent saxophone work by Parker, but mostly he is conducting on the first two tracks. And in many ways the conductor is the star here, with Parker directing the sound by dropping instruments in or out of the music, and extending certain tones by bringing them to the forefront. As the second track, Boutrage, crescendos with a wonderfully demented and circus-like rhythm (yes, the tuba!) you feel the full potential of the improvisational large group. The music alternates between rhythmic propulsion and lyrical, floating tones, often involving the accordions. Organic textures provided by violin, voice and accordions often bring a very welcome dreamlike quality to passages in the recording. The second track covers so much territory, from lush to spare, from hypnotic to jarring, that it alone acts as a large-group improvisational workshop. It’s this 25 minute track that most intrigues me, especially because the musicians never seem to run out of new territory and the music often takes on a mind-altering quality. During the third track Parker’s playing provides space and melody for the other players to work off, and they often enough find sublime moments behind him. It’s been a long time since I’ve listened to a live recording with so many textures on it, and all this in only three songs. Congratulations to Le GGRIL and to Evan Parker on this fine recording. The disc is nicely mixed and its live quality adds to that tightrope, highwire tension, that feeling that the musicians could slip up, take a wrong turn, disassemble. But of course there are no wrong turns, only opportunities for the next turn. Vivaces is a blueprint of sorts, a how-to for groups exploring large group improvisations. As a recording it is fascinating listening, and the LeGGRIL project is an excellent model for the development of a regional avant garde. 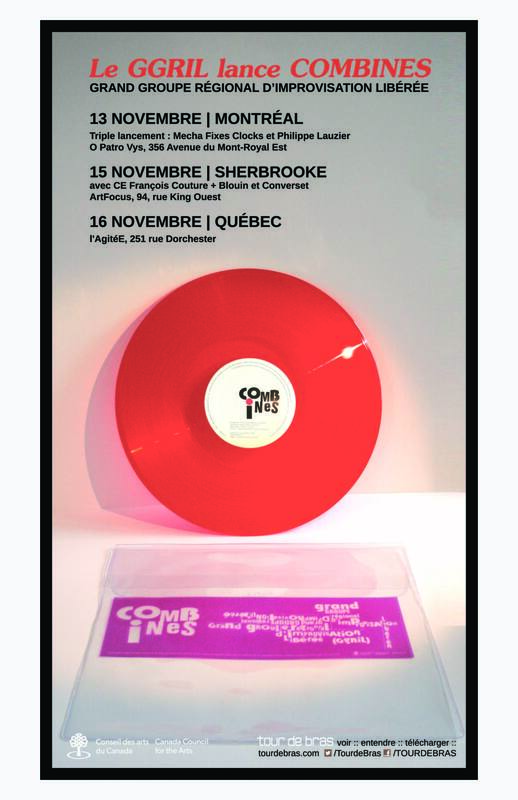 It and other adventurous music can be found at the Tour de Bras label site.